Sea Angler magazine just got even better with more of the things you like. Every issue, we vow to tell you everything you need to know, from the biggest catches and great angling from shore and afloat, to must-have tackle buys. We've got loads of great writers, including lure ace Henry Gilbey, boat experts Dave Lewis and Dave Barham, along with shore ace Chris Clark and many more. 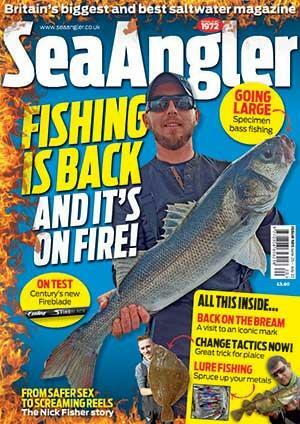 Never miss an issue and your copy of Sea Angler magazine delivered to your door 13 times a year. Whether digital or print, you can subscribe today for just £2.80 per month. With all the nation's best shore and boat angling writers on board, you'll learn all the methods and edges for catching a whole range of sea species. It's the in-depth knowledge you can't be without. With a massive Q&A section where our top team of experts answer your questions, Sea School is your one-stop shop for the know-how you require to get the best from your sport. Whether a shore or boat angler, Sea Angler keeps you in the loop with all the latest tackle releases, offers you expert tests of gear and angling boats. Don't buy without consulting our tackle section.